Factory Direct Promos recently earned the honor of being designated as a Silver Level Green America Certified Business. Green America is a not-for-profit membership organization celebrating their 30th year and they have a simple mission: to utilize economic power to create a socially just and environmentally sustainable society. Essentially, Green America gets behind and supports businesses that do right by the environment as well as the local community and the world. There are three levels of distinction – bronze, silver and gold – that identify the success of a business in terms of their impact on people and the planet. Promote social justice and environmental sustainability through the empowerment of individuals to make purchasing and investment choices. Promote fair trade and green green business principles while at the same time, striving to build a market for all businesses adhering to those principles. Build sustainable communities throughout the United States and the world. A green business needs to challenge how they handle themselves and implement practices and procedures that improve the quality of life for their customers, employees, communities, and the planet. The changes put into motion need to impact everyone involved with the organization from permanent staff to freelance and contract workers to vendors and customers. There are the obvious benefits of being green and sustainable – less pollution is unleashed on water supplies, air is clean and breathable, less trash finds its way to landfills and trees are spared. Positive environmental results most certainly make it worthwhile to implement green practices, but these are just some of the benefits. Green practices are inspiring. Employees are motivated by their employers lead and it gets them more involved and engaged in the work at hand. 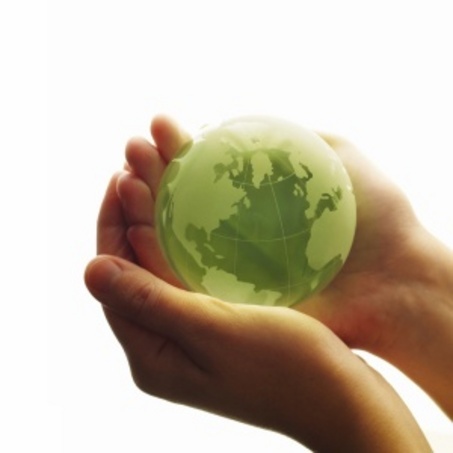 Customers can get on board and learn from, and strive to emulate, the green lessons learned. Green practices can also create loyalty and maintain relationships as staff and consumers realize and appreciate the efforts of the business and the impact on the community. Green America is a well-respected organization that is doing positive, green work through helping sustainable businesses like ours garner recognition for the hard work we do through raising awareness of green business practices. Earning recognition from Green America demonstrates to vendors and customers that a business is committed to the environment and their community. All of us at Factory Direct Promos are proud to have achieved the honor of becoming a Silver Level Green America Certified Business. We will continue to deliver the best green business practices and eco-friendly promotional products to every organization, business or association that desires to work with a business committed to a sustainable and green future. Next Next post: How to Make Your Brand Or Business Memorable?